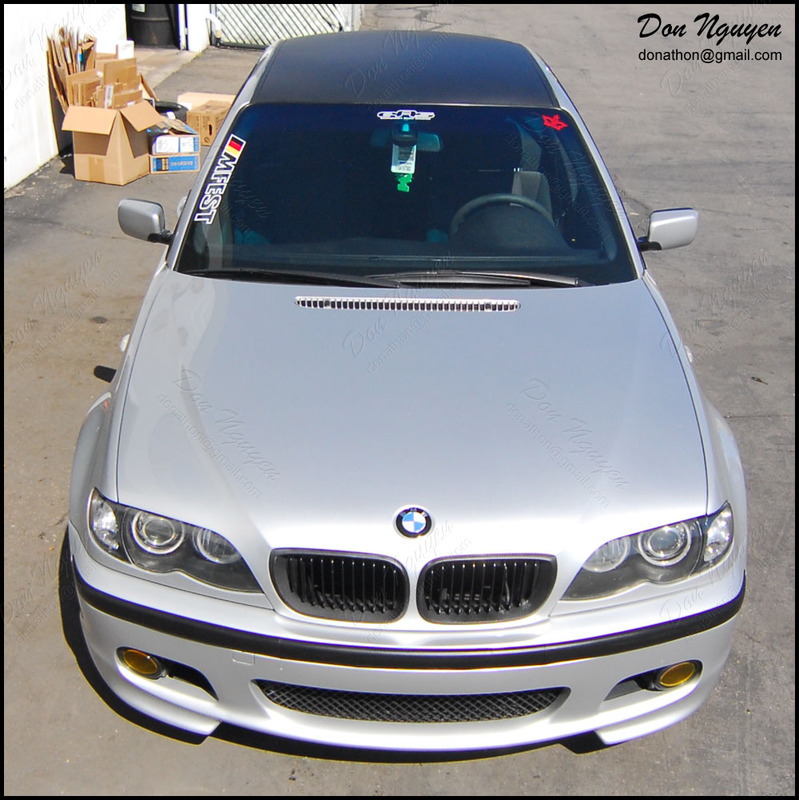 Somewhat more recently, I had this titanium silver BMW E46 330 ZHP sedan come by to have me vinyl wrap the roof of his car with the 3M di-noc matte carbon fiber vinyl material for him. 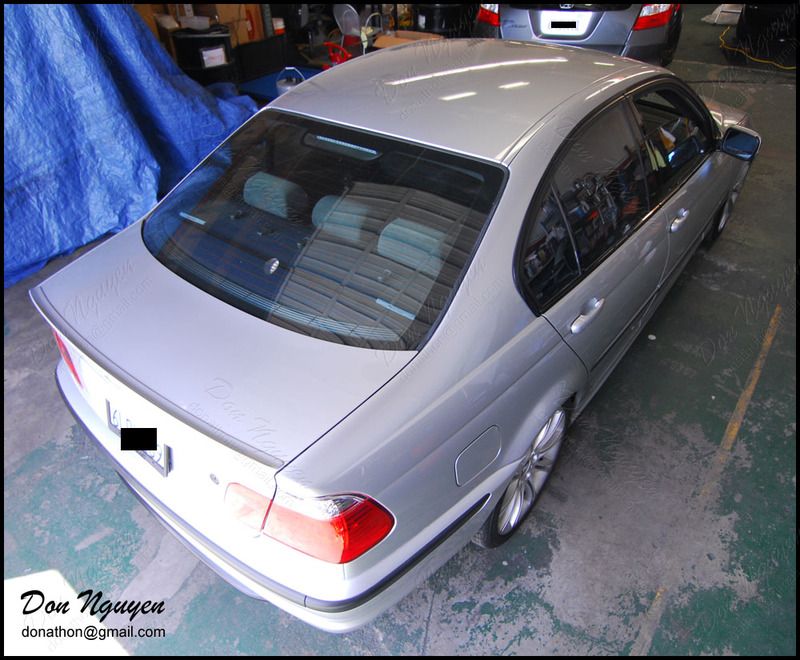 I think this is the first E46 or even BMW in general that I have worked on that did not have a sunroof, which was pretty cool. 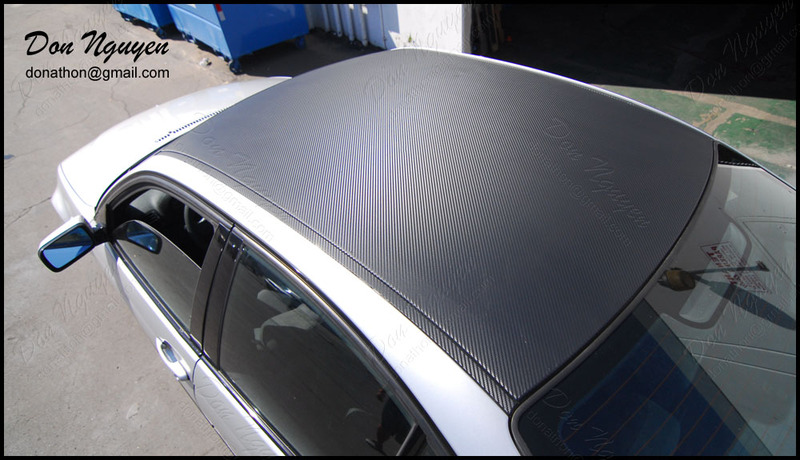 As you can see in the pictures, both the side roof rails were wrapped along with the roof for this car. The owner of this car was from around the Los Angeles county and came out to me in Orange County / Anaheim Hills to get it done.